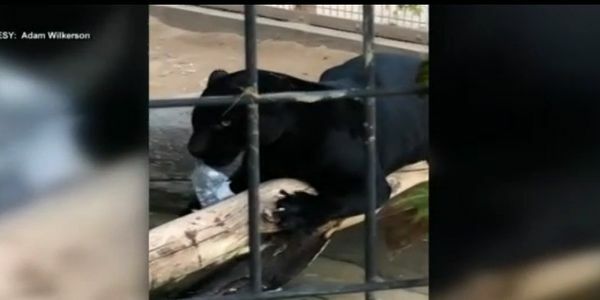 petição: Send Sarah The Jaguar To A Sanctuary So She Can Live In Peace! Sarah the jaguar attacked a visitor through the wire of her enclosure at Wildlife World Zoo in Arizona on March 9, 2019. According to witnesses, the woman crossed over a barrier to take a selfie and was mauled by Sarah. Sarah the Jaguar is on exhibition to hundreds of noisy visitors every day. She is stressed, frustrated, miserable, and unhappy! This is evident by her stressed and "aggressive" actions – this is her way of crying out for help! She has now been taken off public display, and risks suffering in a smaller enclosure and possibly even being sedated or medicated before being put back on display in the future! It's clear that Sarah is not coping with her captive situation at Wildlife World Zoo. She needs to be relocated to a true sanctuary where she can live the rest of her life without any expectations placed upon her. A place where she is not forced to be on display, where she has peace and privacy, proper enrichment, and can enjoy a larger, more natural enclosure. She cannot be released into the wild but we can do the next best thing for her, and that is send her to a sanctuary that will put HER needs first. I am positive that in a better environment, her aggression will abate, and she will come to know happiness and peace. Please sign this petition to demand that Wildlife World Zoo makes the kindest decision for Sarah by sending her to a sanctuary as soon as possible! The response has been huge! Thank you! Nearly 90,000 signatures! Sarah has attacked AT LEAST 5 people in the last YEAR! She is trying to be heard! Keep signing and sharing for Sarah! (3 visitors and 2 zookeepers).